Cannabase Marketplace customizable "MIP Storefront" catalogues were built at the request of our MIP users who were searching for a better way to display their inventory in a more static way than the wholesale listings allowed. 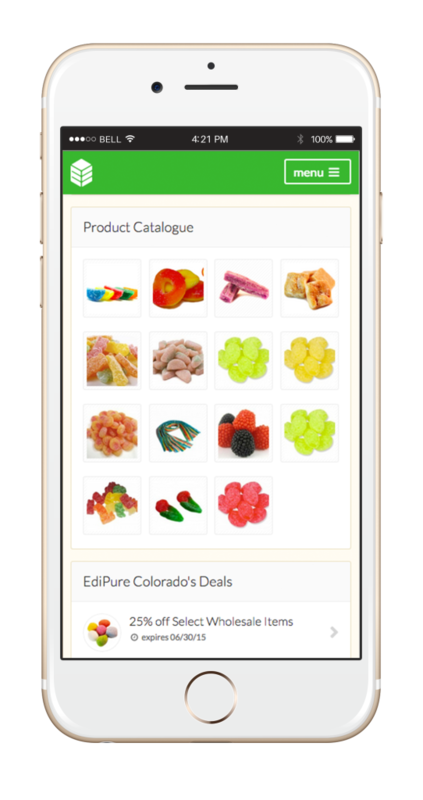 These interactive catalogues are displayed in the Cannabase Marketplace to licensees only, allowing you to create deals, interactive surveys, gather vendor trust scores/reviews, and conveniently display your inventory all in one place. All storefronts are optimized for mobile devices, and come with a robust set of features to help build our brand, gather feedback, and - of course - increase sales! Your deals are fully customizable and promoted app-wide. Business users easily can rate and review your storefront. Easily communicate contact and ordering information & prices, all in one place. Business users can easily message you through your storefront. Showcase your products in a mobile-friendly, drag-and-drop catalogue interface. 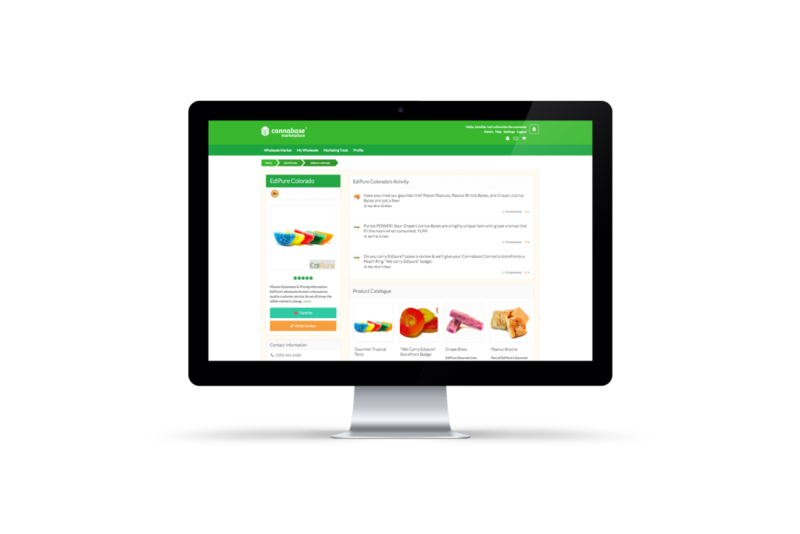 Custom surveys allow you to easily gather feedback from retailers and cultivators. Feature tags can be bought in bundles or a la carte, and allow you to feature either a storefront, deal, listing, or request for a set period of time (depending on the feature tag you buy). These helpful tags don't expire, and you can choose whenever you'd like to use them. For instance, if you have a MIP Catalogue Storefront, you can apply a "Featured Storefront" tag to your store at anytime to give it a big marketing boost throughout the Marketplace! In short, these little tags are a great tool to have in your arsenal. Set your storefront avatar, upload product photos, and more. Enjoy! For $250 you'll get 10% off the sticker price of a MIP Catalogue, an employee bundle, and an advertising pro subscription to push traffic to your new catalogue! This option allows you to purchase an a la carte MIP storefront for a year. Pay a one time fee of $1,530 and enjoy a year of exposure to our industry-leading marketplace - and save 15%! The most flexible option, here you can purchase your MIP storefront on a subscription basis ($150) and cancel anytime from your account center. These catalogues provide our users with a unique avenue to advertise to and interact with over 70% of Colorado retailers (and over 85% of the largest Colorado brands and entities! ), driving new business while gathering valuable feedback and brand exposure!